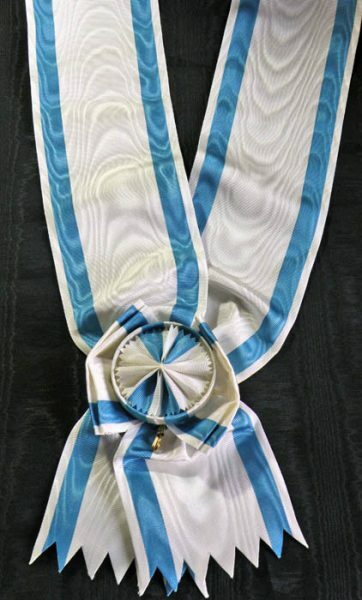 Temporary SOLD #SE008 – Order of the Saint Sava – Grand cross sash (Grand Croix) – type 2 for the Kingdom of Serbia 1903 – 1918 type of the Order, model with the year and red robes produced by French workshop of Arthus – Bertrand. This entry was posted in Serbia and tagged decoration, Grand Croix, grand cross, Grand Cross Grosskreuz, medals, military ribbons, orders, ribbons, ribbons sash, Saint Sava, sash, sashes. Bookmark the permalink.